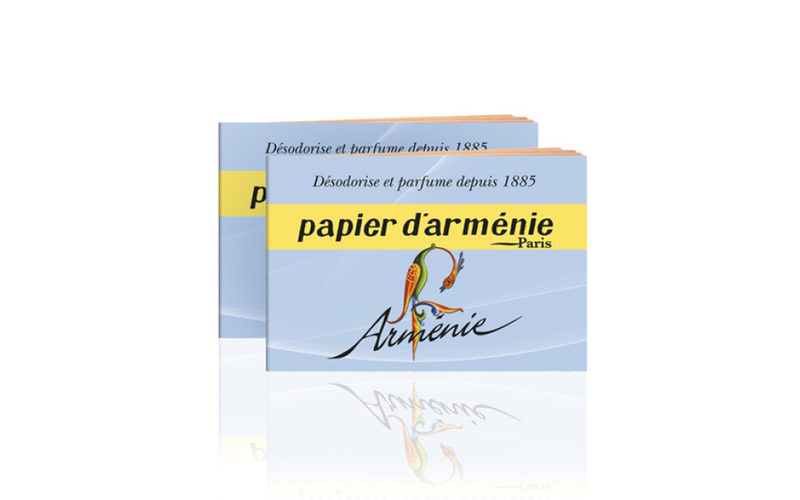 Papier d'Arménie booklet Arménie 36 strips. 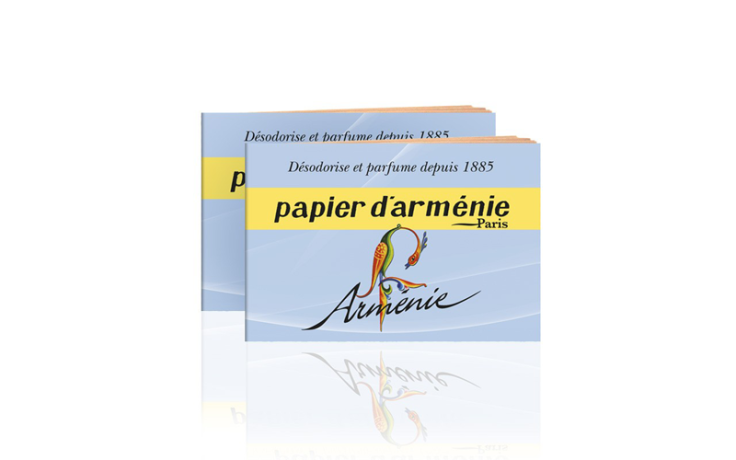 Arménie: The aromas of incense and myrrh fit well with the woody and vanilla notes. The booklet is the outcome of Mireille Schvartz's meeting Francis Kurkdjian, the famous perfumer. Tear off one strip, fold it like an accordion and place it on its longest thinest side on a heat-proof surface. 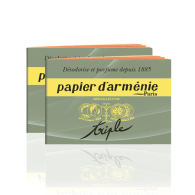 Light it, blow gently so that the paper does not burn up (Papier d'Arménie should burn slowly). It can also be used without being lit. 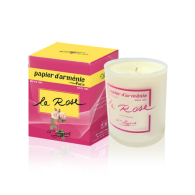 Simply place one in a cupboard or drawer and it will slowly release a soft, sweet fragrance.